Before I talk about my Ipoh trip, let's talk about the car first. What is hybrid car ? A hybrid vehicle is a vehicle that uses two or more distinct power sources to move the vehicle. 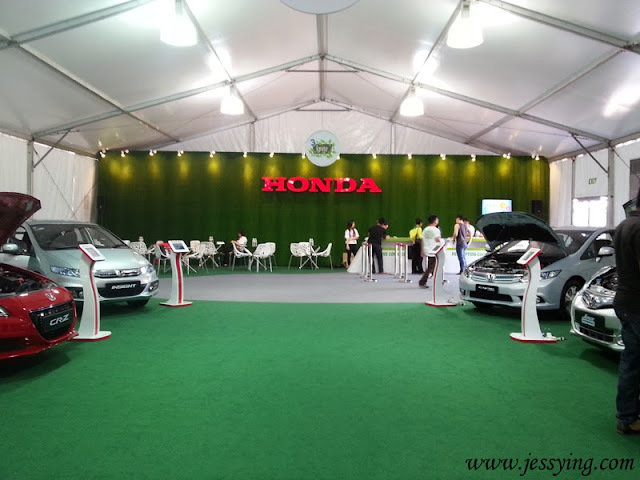 For Honda Hybrid car, it is powered by an engine and assisted by an electric motor. It actually means the car is not 100% fully operated by fuel. In simpler word - hybrid car saves petrol consumption and you can actually saves a lot of hard-earned money! And combining fuel efficiency, and driving performance with environmental performance through reduced fuel consumption and reduced CO2 emissions, Honda hybrid cars are much more eco friendly compared to other cars. 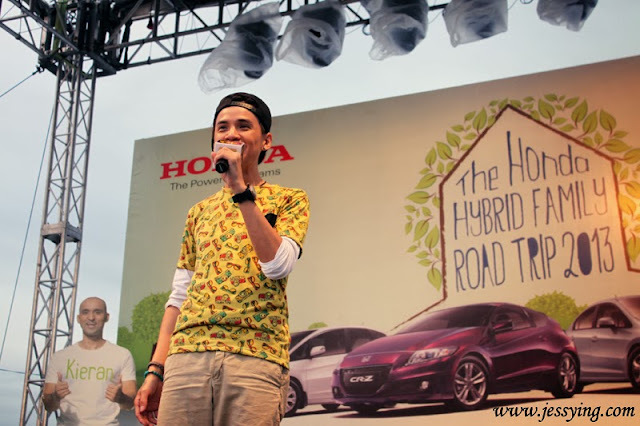 Yes now as a car driver, we also can play a part to protect our environment by driving a hybrid car. 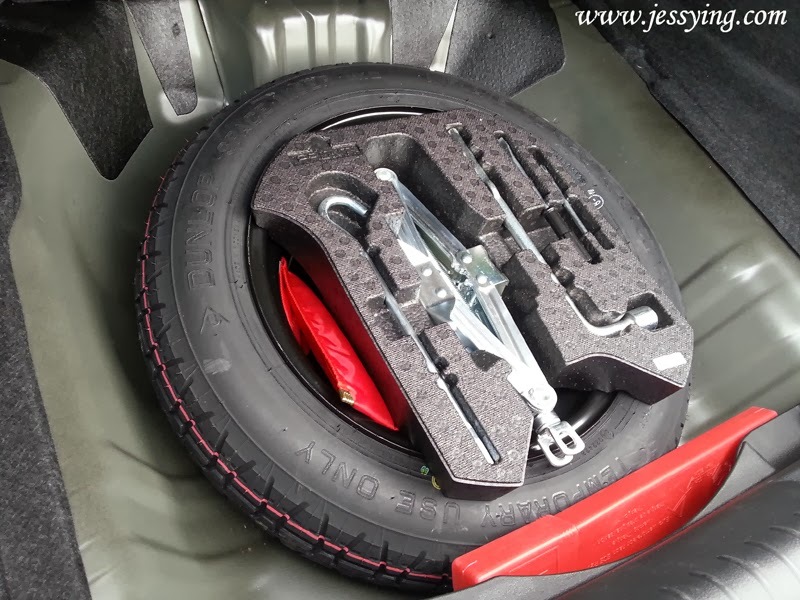 In case you are wondering how the battery of the electrical motor recharged by itself, well every time you step on the brake the electric motor would be recharge by itself. Therefore there is no way Honda Hybrid car can never run out of battery! I discovered that when the car on Eco mode and as I completely stop at a traffic jam, the car will jerk a little which I later found out that because Honda Civic Hybrid is using electric brake and as compared to other models. 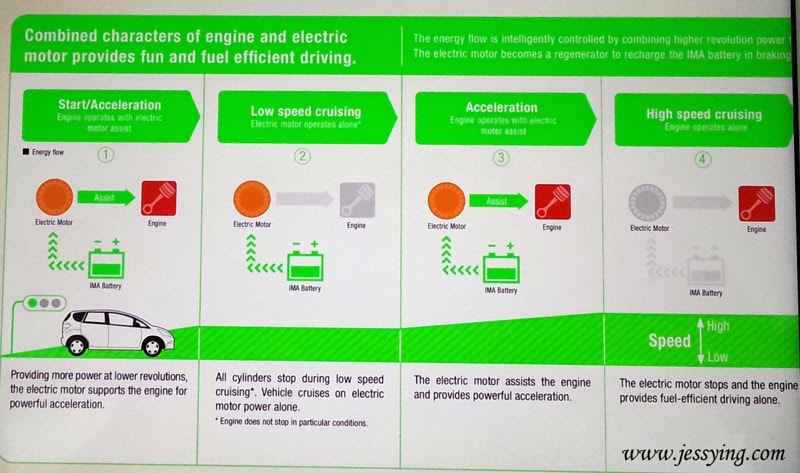 Also one of the hybrid car benefit is that it does not burn any fuel when the car stop (perfect for Malaysian traffic jam). Hence this is one of the things that makes driving a hybrid so eco-friendly. 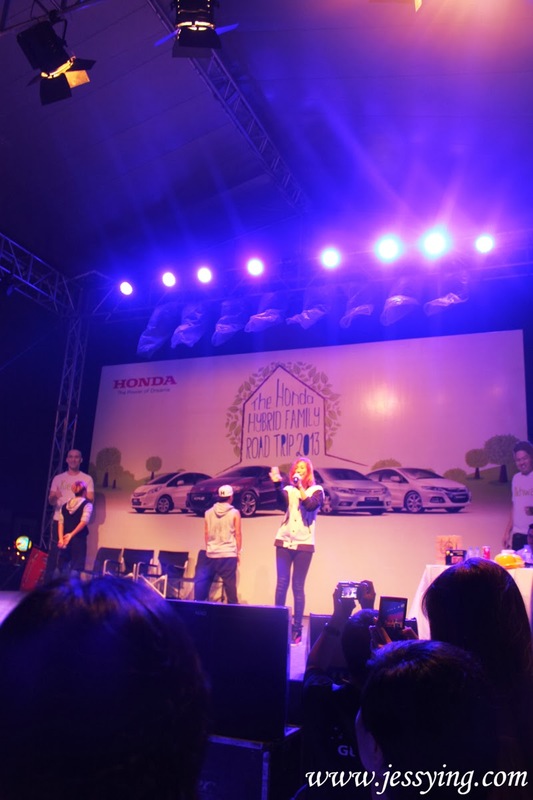 Oh one more thing do you know Honda Civic Hybrid is a keyless car, as it works on Smart Entry which means we do not need to take our the key to unlock the car. 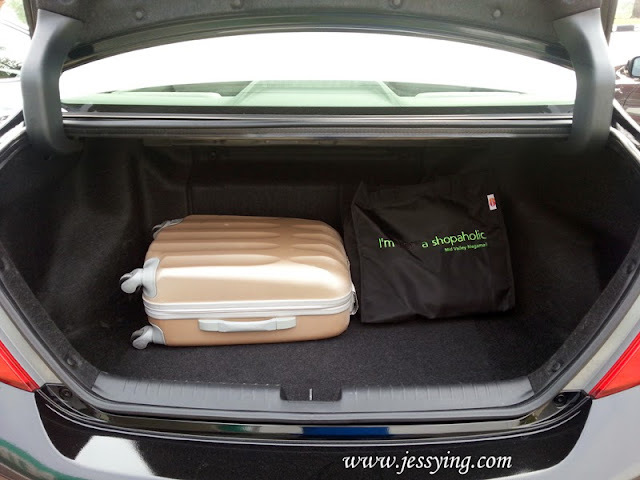 With the key in our pocket or handbag (don't even need to take out), it would actually automatically unlock the car as we walked next to the car. 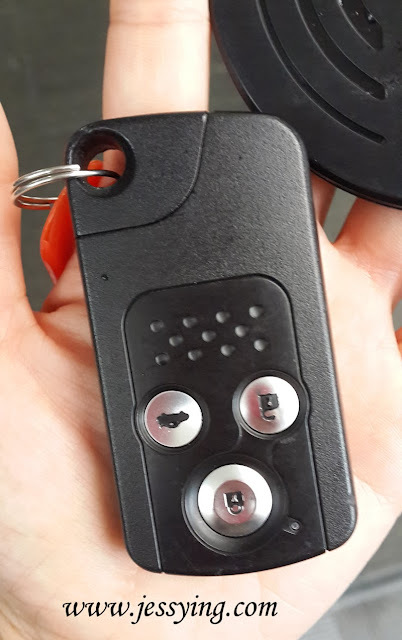 Well I love this feature because I always can't seems to find my keys and now I more cautious with the surrounding before getting running into the car. 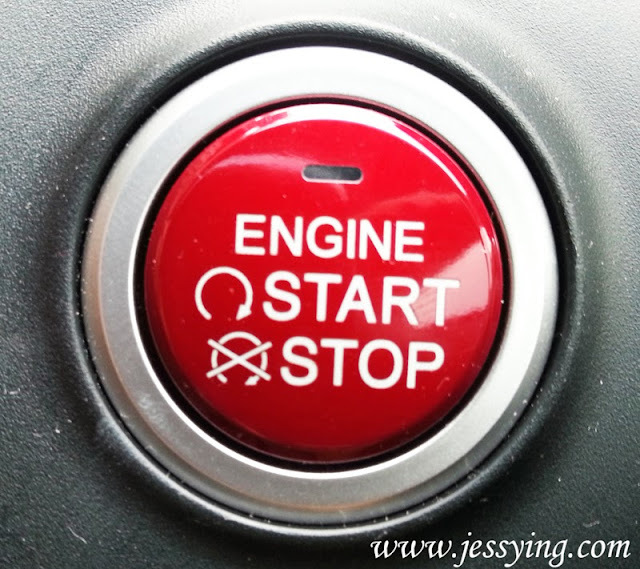 Oh one more thing do you know Honda Civic Hybrid is a keyless car, as it works on Smart Entry and Push Start Button which means we just press the push start button to start the engine of the car after pressing the brake. 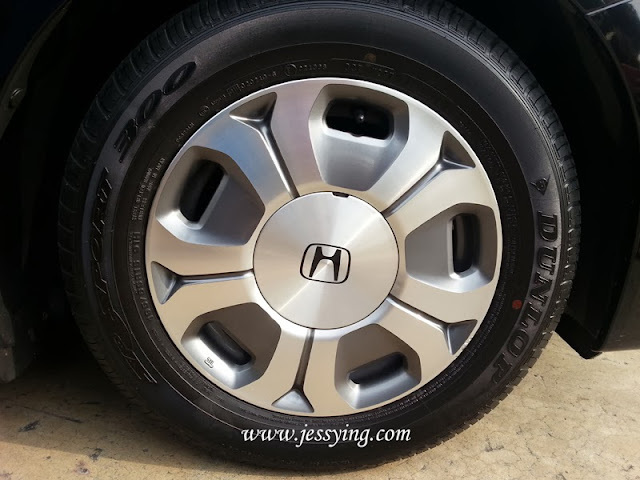 Honda Civic Hybrid colours comes in Frosty White Metallic, Crystal Black Pearl, Polished Metal Metallic and Taffeta White. Which is your favourite colour ? 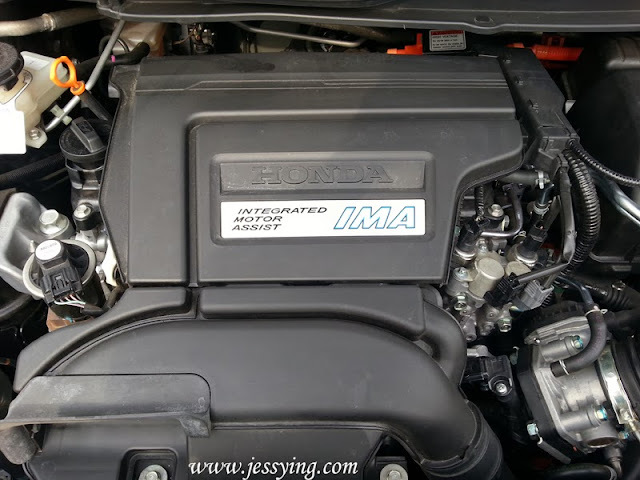 The Honda's i-VTEC engine is assisted by an Intelligent Motor Assist (IMA) to produce impressive power to the Civic Hybrid and help with its fuel efficiency. 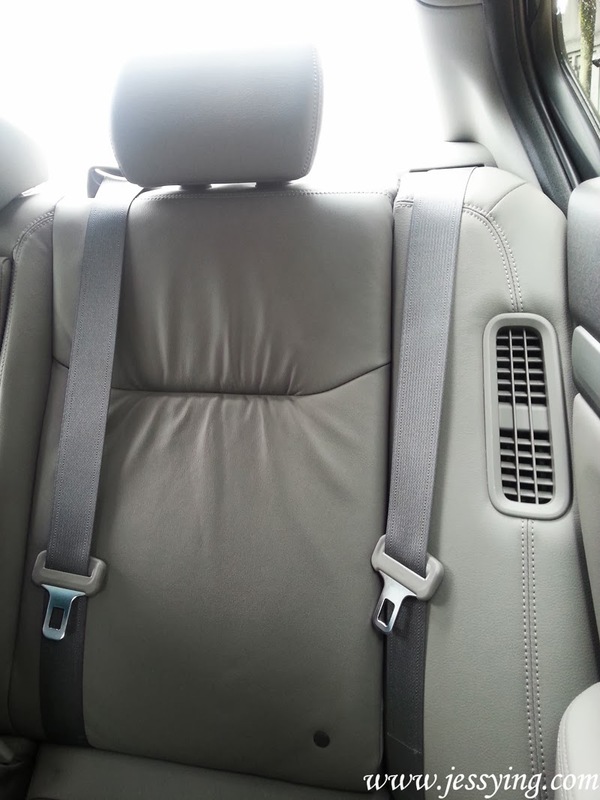 Very spacious back seats too! 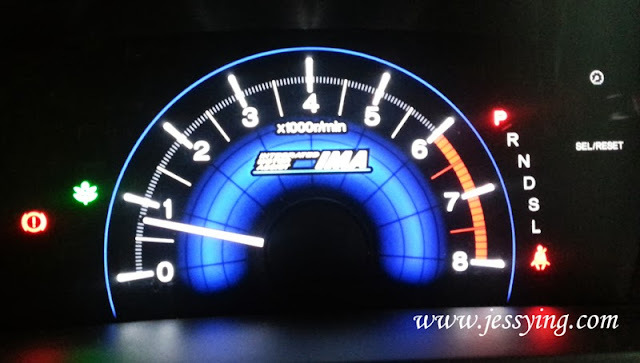 I really like Honda Civic Hybrid Intelligent Multi Information Display (i-MID because it shows all the information like the eco guide, average speed, energy flow, fuel consumption and range capability all at a touch of our fingertip at the steering wheel switch control. 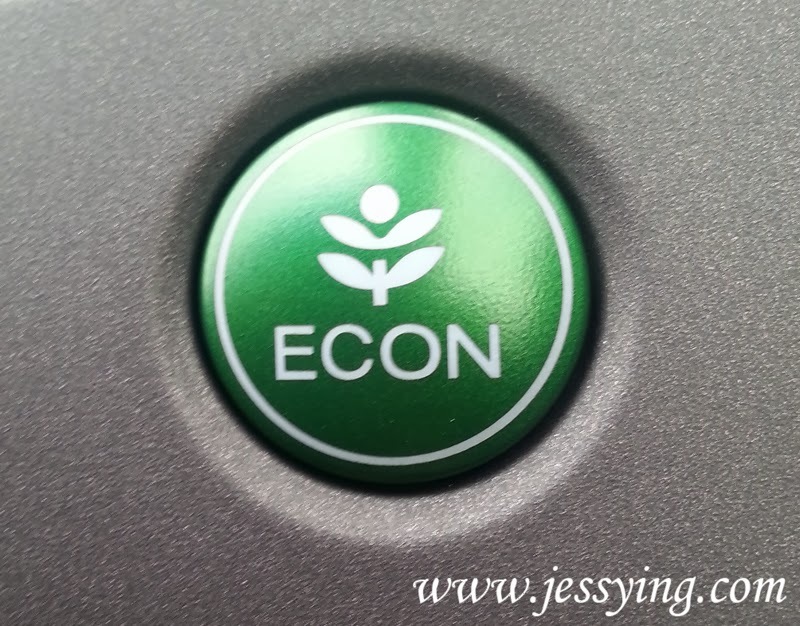 By pushing ON the Econ button in Honda Hybrid car, we SAVE FUEL, REDUCE emissions and INCREASE the IMA battery recharging rate. The Eco-sharing function at the below picture provides feedback about our current and long term practices by showing the leaves as our ECO scores. 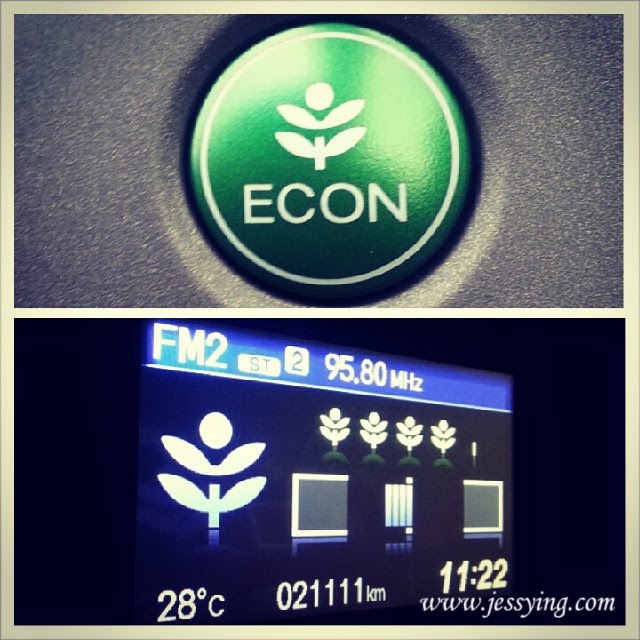 And by drive economically (without keep speeding) and we will receive ‘leaves’ as our ‘eco score’. As our driving improves, the ‘leaves’ will grow into trophy. That's me & Juli my teammates, she looked so serious driving! 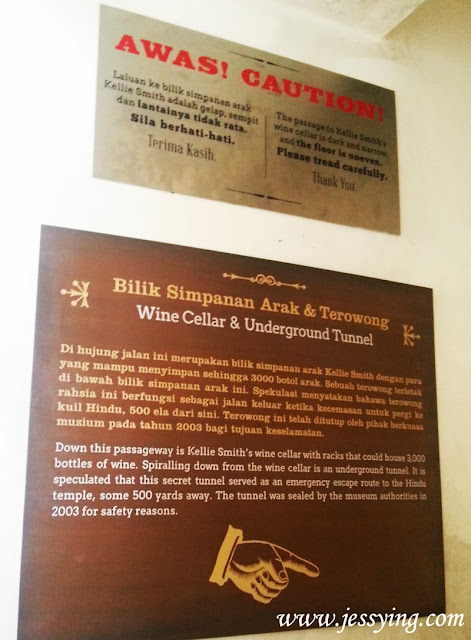 We left KL around 8am and took us around 2 hours to reach....Safety first, no speeding okay.... ahem! 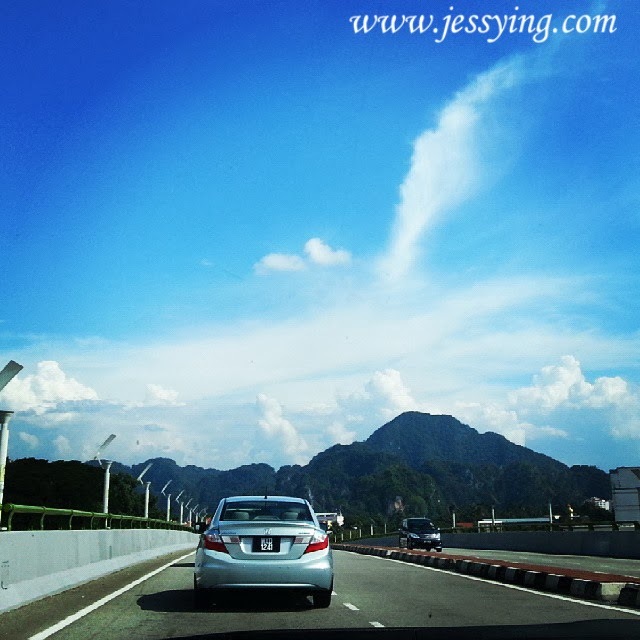 Our journey to Ipoh is pretty smooth with Honda Civic Hybrid. 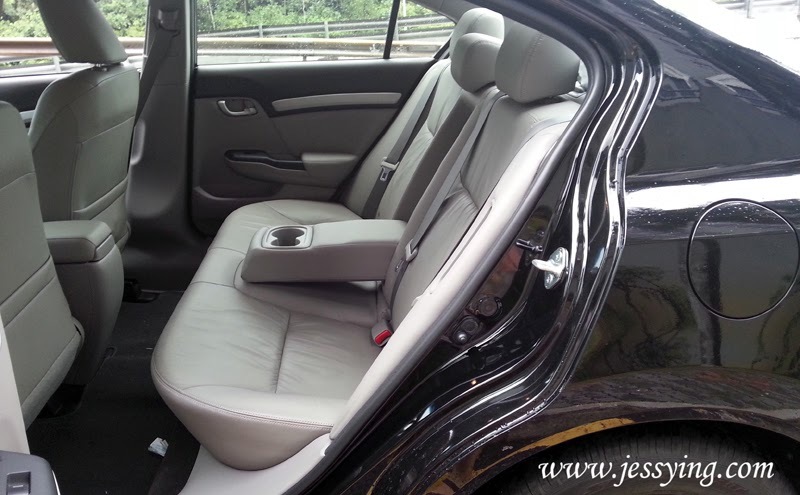 Ride was stable, comfortable & engine is quiet. There is one thing I realised that when we are on Eco mode, the car picked up, is a little bit slower than their normal driving mode because it is fuel saving mode, hence the pick up speed is compromised which is acceptable. 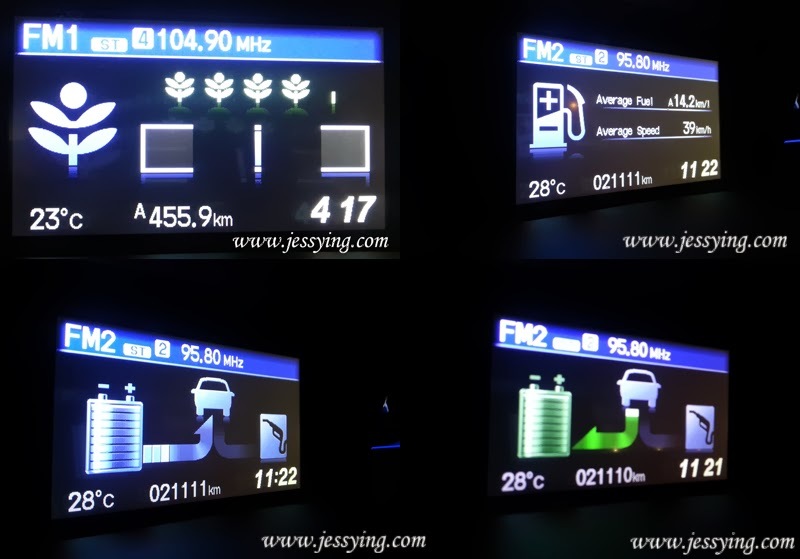 Our journey from KL to Ipoh only used less than half a tank, super fuel efficient! First stop we visitied the Honda Hybrid Family Road Trip in Tesco Ipoh. There are a lot of acitivites on-going. 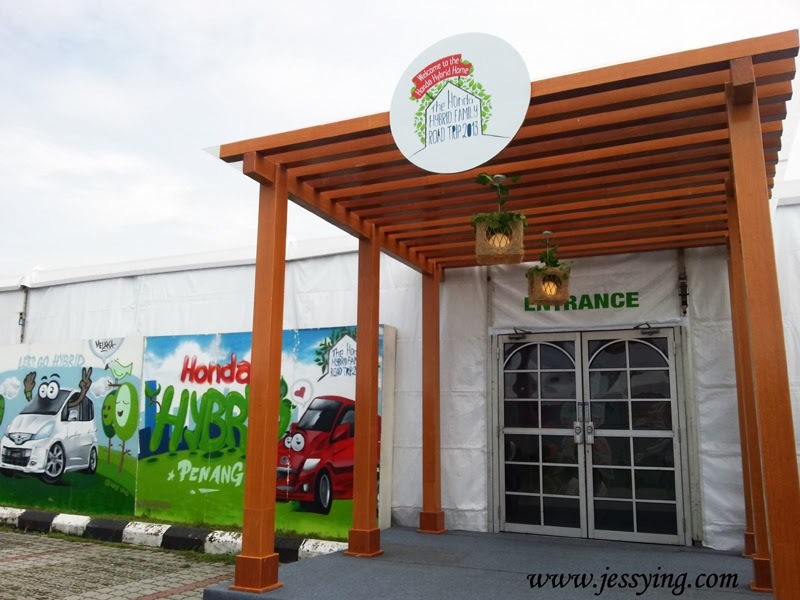 There are car exhibition, test drive session, games, eco green bazaar and performances from local artists at night time. 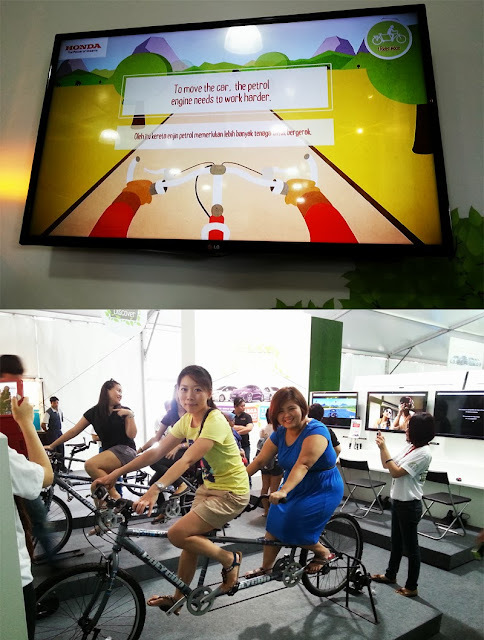 There are some activities going on the booth,to show how a hybrid car work. I won some Honda merchandiser from those mini games they have in the booth! 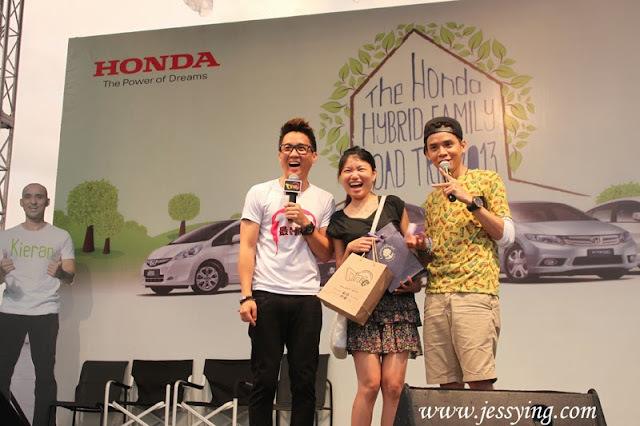 We managed to rush back after our heritage visit (which I will tell a bit more) to watch The Honda Hybrid Family Road Trip 2013 concert which is in collaboration with One FM. A lot of people came to see Danny One performing and he is quite cute in entertaining the guests. During the concert, there are lucky draw session and this lucky boy won a brand new Nikon camera! After the roadshow, we need to fill our tummy... because we are so hungry! 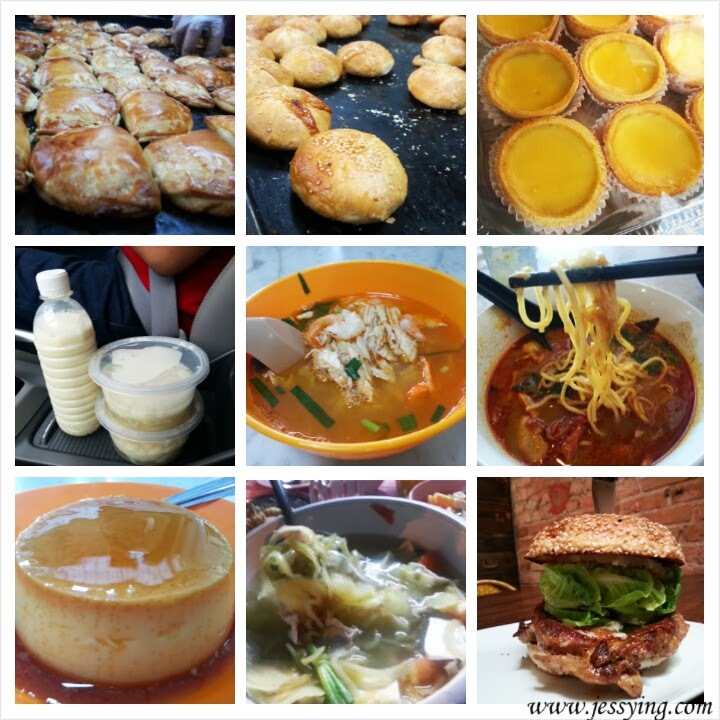 Some of the famous Ipoh food we tried in 2 days time..thanks to some of our friends, they are food hunter.... so they know where is the best food around Ipoh! Ah....I still miss the custard egg and Ipoh chicken hor fun! And these are heritage food because usually they are pass down from generation to generation! 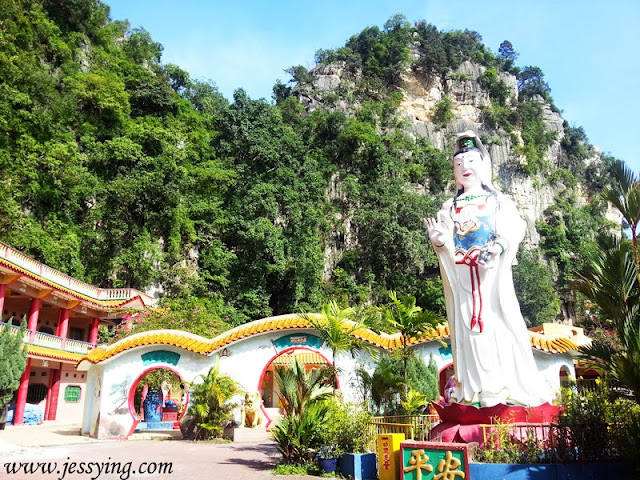 After tummy is happy, it's time to visit some of the heritage sites in Ipoh! 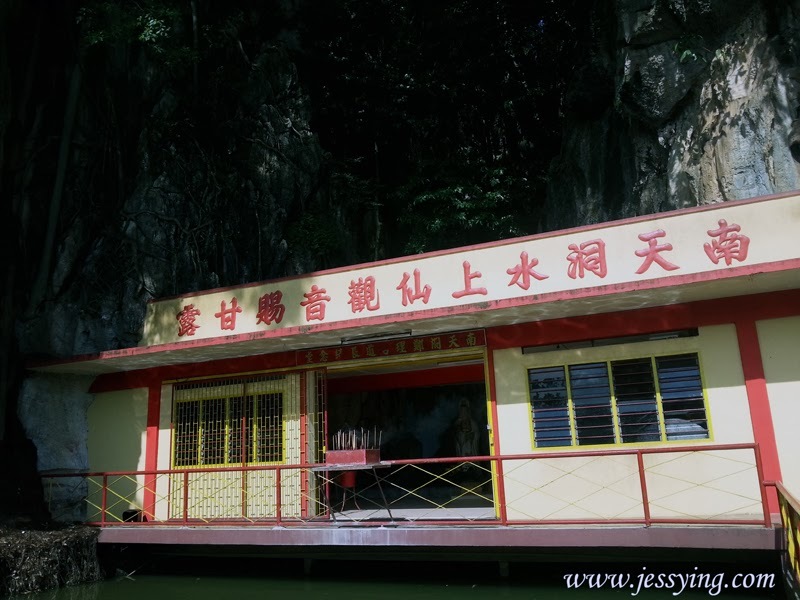 This is Nam Thean Tong at Gunung Rapat ( just realized that this is very near Sam Poh Tong too). This Kuan Yin statue is looking majestic surrounded by the green . 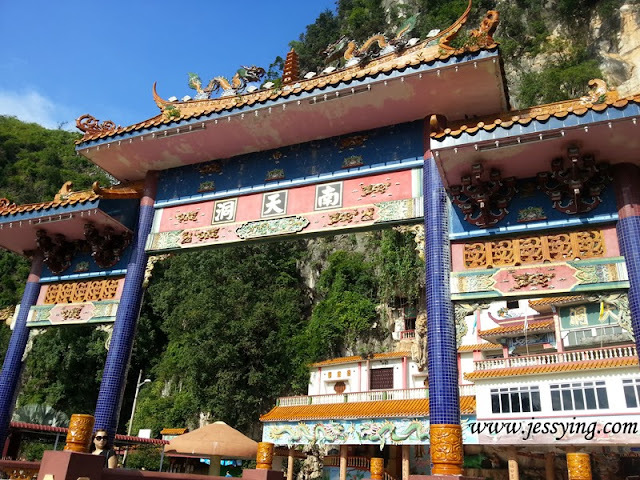 Actually great to see that Ipoh is still preserving its greenery, thumbs up to Ipoh local council in proper preserving our beautiful heritage. 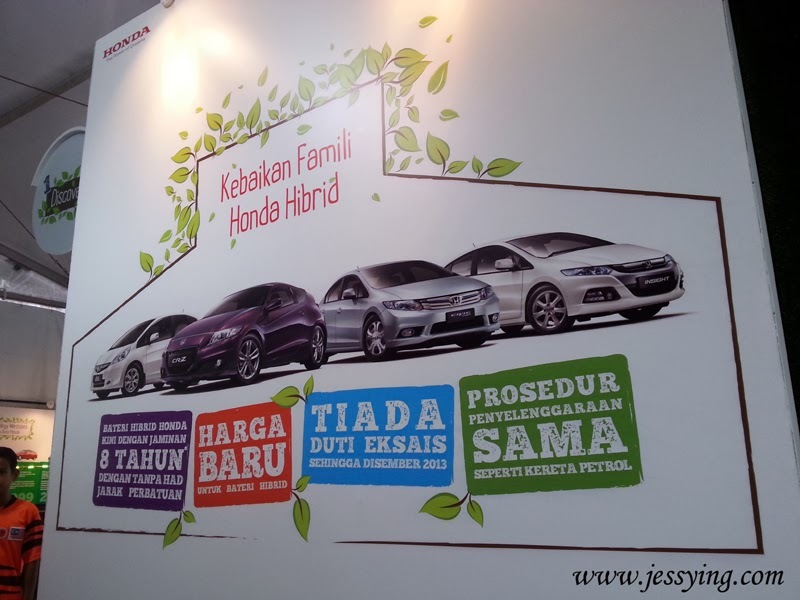 .just like how Honda Hybrid technology will help to preserve our environment! Next is the haunted Kellie's Castle where Anna & The King movie was filmed here! Well been hearing about this so much , finally finally get to visit this famous haunted Kellie's castle! In fact I was quite chicken to visit.... but when I saw a big crowds visiting there.... okay I think not so scary anymore! Took this panaroma view of Kellie's castle with my Samsung Galaxy S3 , very nice right! 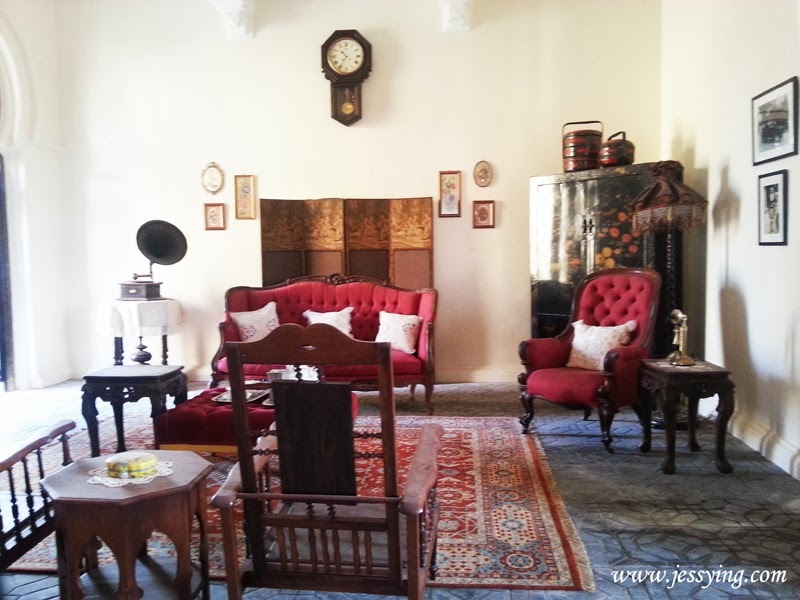 This beautiful yet deserted mansion is located in Batu Gajah, half an hour's drive from Ipoh city center. 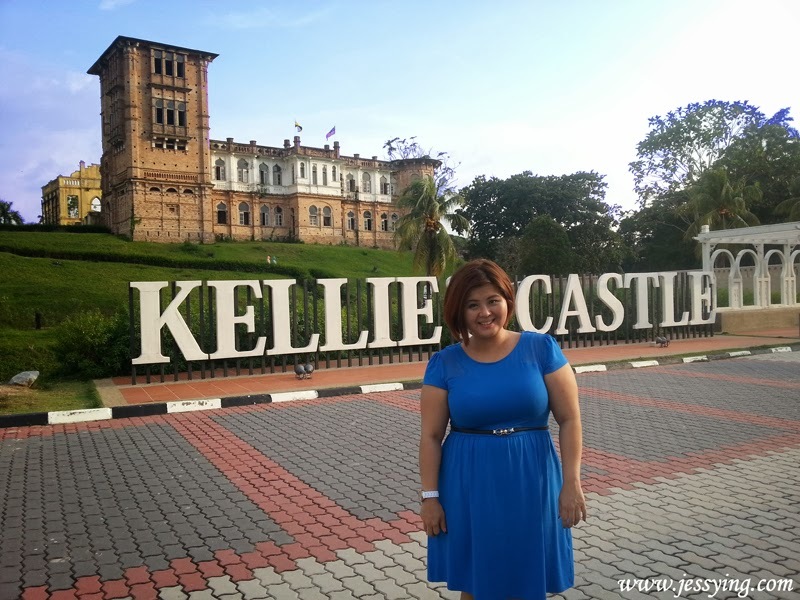 Kellie's Castle was built by William Kellie Smith, a Scotish planter in the 19th century for his wife Agnes Smith and kudos to the Ipoh local council restoration works, this place is still looking good. 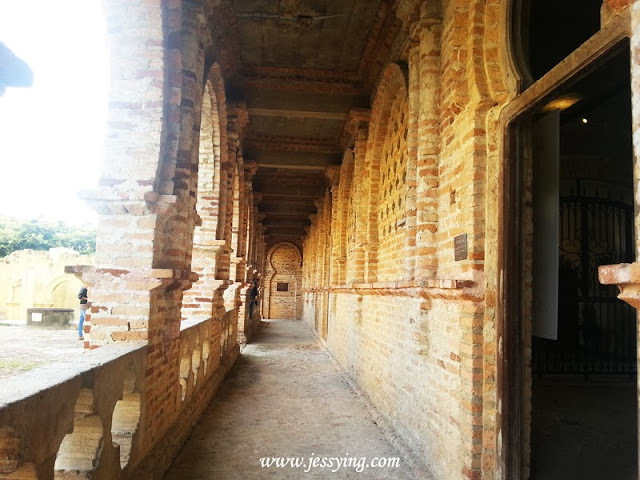 The first place you have to visit in Kellie's Castle is of course the Ghostly Cloister Balcony! I pass by the wine cellar and seriously feeling spooky, got the cool breeze like that ... blew on me....I decided not to go down to see as the staircase is very narrow and dark. Anyone been down there to see the secret tunnel ? So I went up to see, a lot of empty rooms and I went further up to the rooftop. These stairs are very narrow and small. 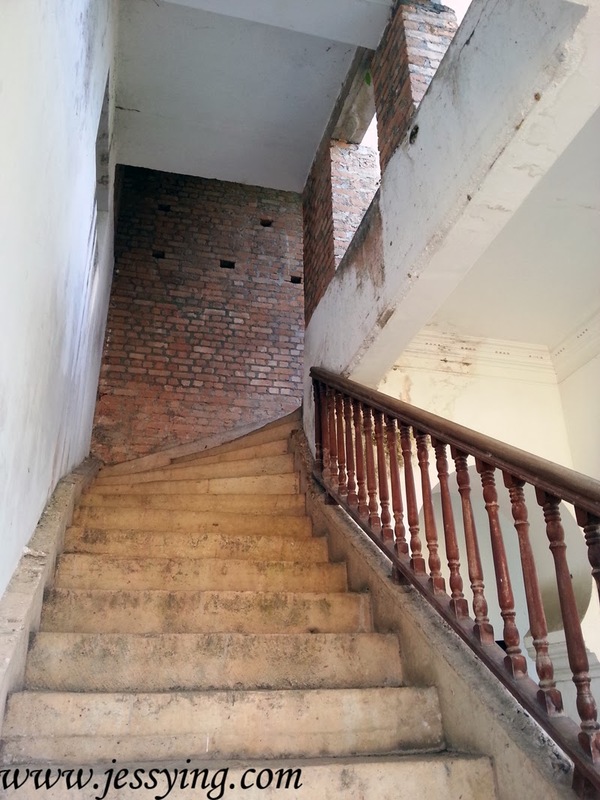 The stair hand rail is shaky and don't seems reliable to me, so got to be careful to go up & down. This place actually reminds me of Agra Fort in India because the bricks that used to built here are all imported from India..and. 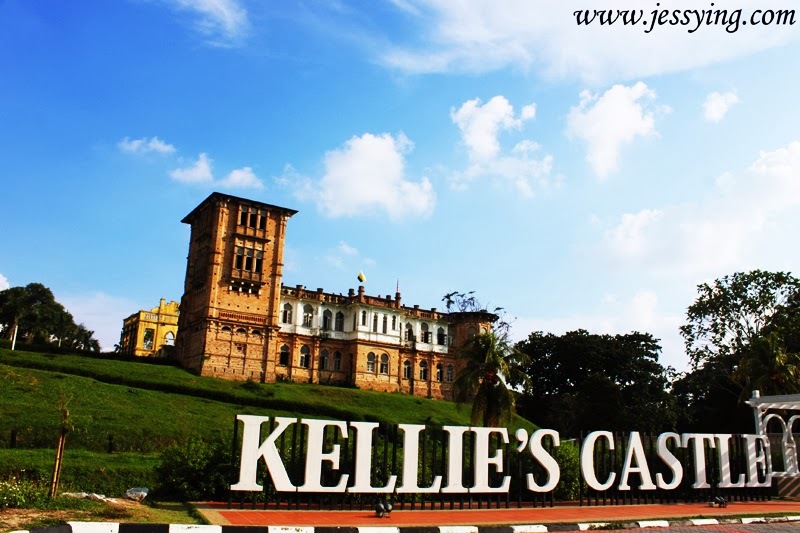 I actually found out Kellie's Castle architecture is a mix of Greco-Roman, Moorish, and Indian architecture where 70 craftsmen from Madras India to build this place. I was really happy to see the surrounding of Kellie's Castle is still properly preserved although it has been built since 1909 ( OMG it's now is 104 years old!). Heritage sites like this must be preserved so that our next next next generations can see. 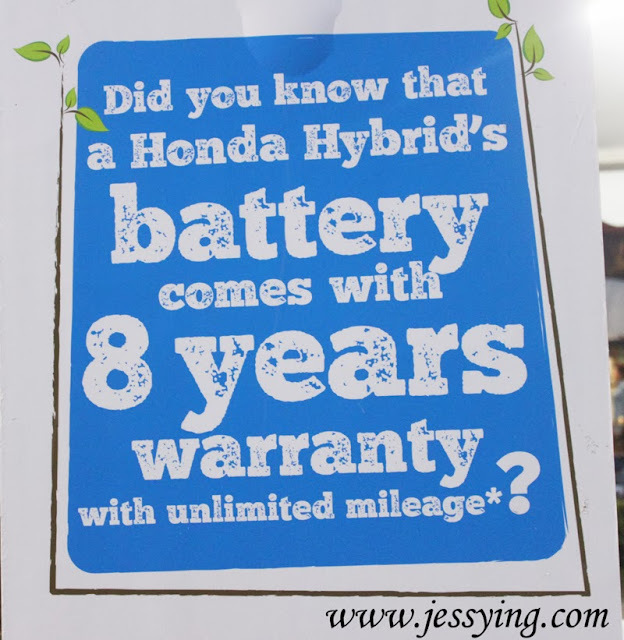 So why not give a chance to yourself and test drive any Honda Hybrid car today? 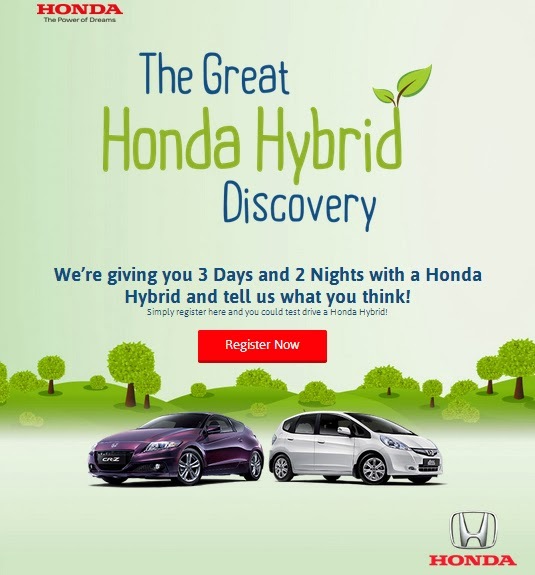 Sign up now today at http://bit.ly/IQcsrI so that you can stands a chance to drive around with Honda Hybrid car for 3D 2N for FREE as long as you have a MyKad & valid driving license! 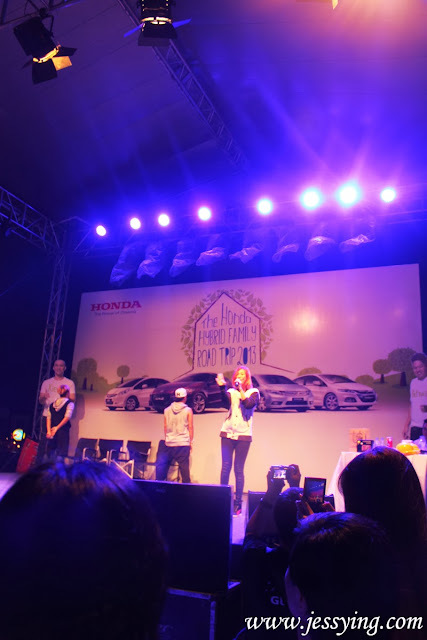 Honda Power of Dream - let's aim to turn our dreams into reality for our coming generations! 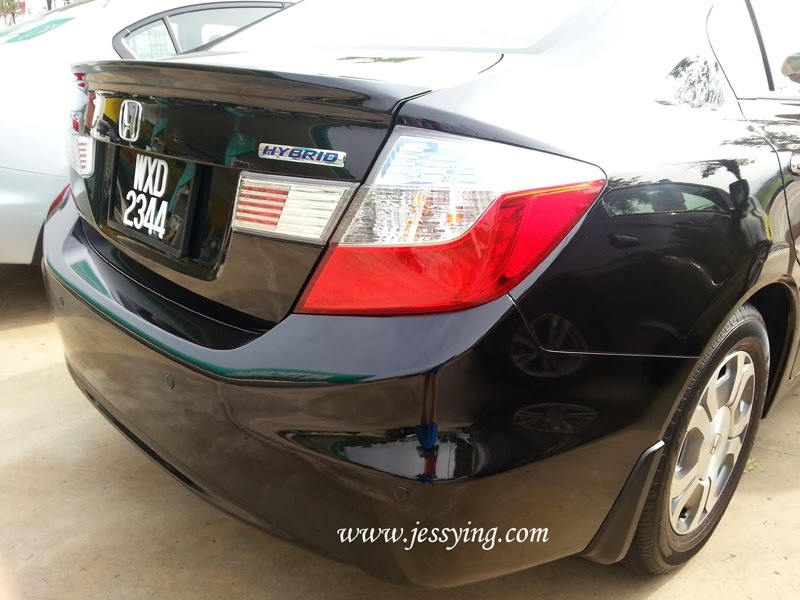 Honda Civic Hybrid 1.5L is currently selling at RM 119,980 (On-The-Road with Insurance ). These hybrid car is awesome! not only fuel efficient but also powerful and have a great handling as well. 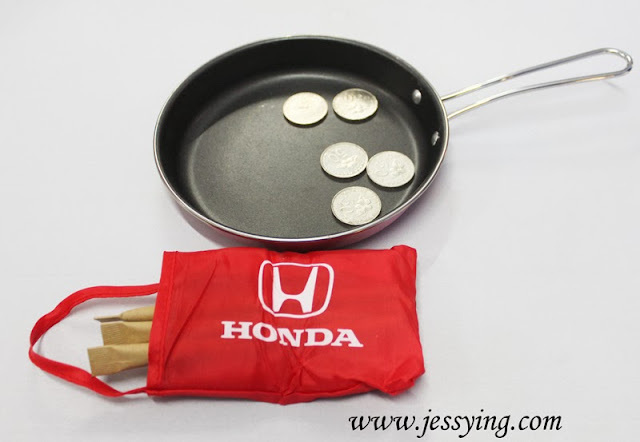 I have one from Honda too! The hybrid car is not only fuel efficient but powerful and great handling too! I also want new car, so nice!